Emails are a ubiquitous part of the lives of people living in this current century. 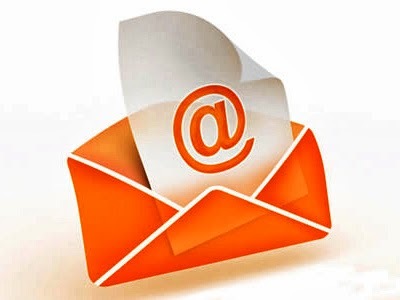 Friends share stories and talk to each other through email, most businesses use emails to send urgent memos or tasks to one another, and students use email to connect with classmates and teachers. An accidental deletion of an email or a sudden failure in your hard disk drive could lead to a lot of problems, but SoftAmbulance E-Mail Recovery could be the solution to those problems. If you want to know more about this topic, you can read the tips and guide below. E-mail recovery doesn't have to be a pain, SoftAmbulance can make it easier for you. Their program can help users to recover lost messages, email databases and contact details. If you accidentally delete your email files or if your hard drive crashes, there's still a chance to recover it all if you run E-mail Recovery right away. Why does this work? Every file in your computer is stored on the magnetic head of your disk drive. Even when the worst happens and your disk drive becomes unusable, the data is still there stored on the drive and can still be recovered using the right program. This means that corrupted message files can be repaired, you can recover deleted email databases, and much more. SoftAmbulance's program runs with very little user input, and each step has helpful prompts to lead you on your way to recovery. The pre-recovery preview lets the user see just what files are recoverable, so that you know that you can recover lost messages that you want to recover and know that you're getting your money's worth when you purchase a license. Like any program, there are still drawbacks to E-Mail Recovery. The program can recover and repair a number of formats such EML, MSG, DBX, Vista Mail, Microsoft Outlook, VCF file, PST, OST, EML, Firefox, WAB, and VCARD file. However the program can only save the recovered file to the following formats: EML, MSG, DBX, Vista Mail, Microsoft Outlook, and VCF. If your email program of choice does not work with the formats in that list, then you'll have to switch to a program that does. This will allow you to use the recovered files. E-Mail Recovery only works on PCs, so those using Mac or Linux won't find this helpful. Also, it is supported on a number of Windows platforms, but not the latest such as Windows 7 or Windows 8. Are you looking for more information regarding SoftAmbulance E-Mail Recovery? Visit http://softambulance.com/email_recovery/email_recovery_features today!